Linked to the origin and growth of Dunedin, the Andrews Memorial Chapel is a focal point in Dunedin history. Bringing together the community, the Andrews Memorial Chapel is as important for the Dunedin community as it is for historians. In regards to Tampa as a whole, Dunedin is a small city. Though small, Dunedin has a rich history, especially when it comes to its community and its buildings. This history is not only celebrated by Dunedin’s local community, but also on a national scale, a number of buildings being selected into the National Register of Historic Places. One of these nationally recognized buildings is the Andrews Memorial Chapel, a non-denominational chapel that welcomes all as both an events’ venue and a historic location. 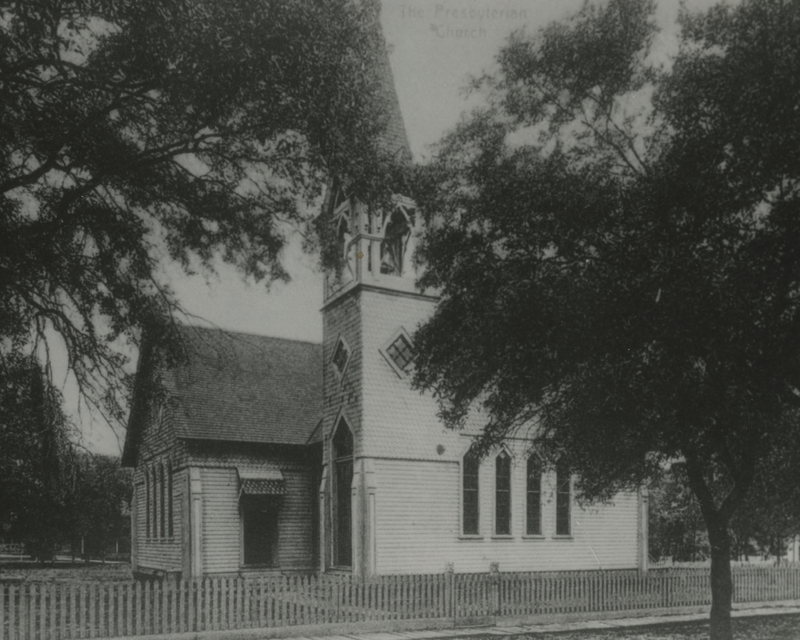 The chapel itself was at one time affiliated with the Presbyterian community, its origin beginning with Reverend Joseph Brown moving to Dunedin from Virginia in 1868. Reverend Brown and Dunedin’s Presbyterian community started out in a local schoolhouse, eventually coming to the conclusion that a formal church was needed. This church would be named the Bethesda Presbyterian Church, and it would be placed on what is today the Dunedin Cemetery. The name of the church would eventually change through a series of unfortunate events. John Andrews, a member of the congregation and local rancher, lost his son William in 1876. During the middle of a storm, William was struck by a fallen tree, ending his life at the early age of twenty-five. Looking for a way to memorialize his son and seeing that the Bethesda Presbyterian Church was in the middle of construction, he offered to pay $200 (approximately $4,000 today) toward the construction if the church was renamed to memorialize his son. Reverend Brown and the rest of the congregation agreed, leading to the Andrews Memorial Church’s opening in 1878. Because of congregation growth and a downtown population shift, the Presbyterian community decided to move locations in 1888. The location for the new Andrews Memorial Church was given via donation, leading the congregation to settle at the corner of Scotland Street and Highland Avenue (the current location for the First Presbyterian Church). With the congregation getting even bigger by 1926, Andrews Memorial Church was moved farther down Highland Avenue and renamed Andrews Memorial Chapel. This move was done to make room for the current First Presbyterian Church, allowing the chapel to be used as a secondary facility by the church. Andrews Memorial Chapel stayed in the possession of the First Presbyterian Church until the 1970. During this time, the chapel’s age began to catch up with it. 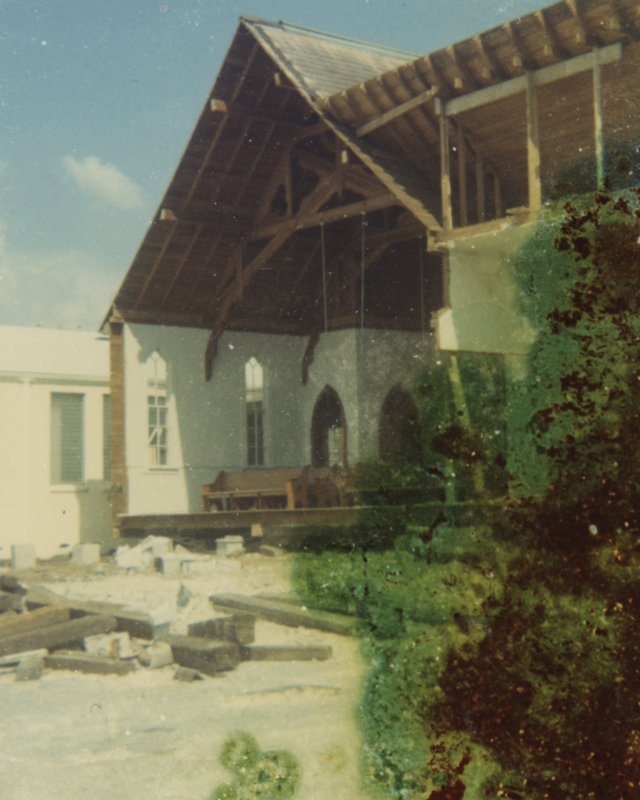 With the condition of the chapel worsening and the need for space increasing, the First Presbyterian Church voted to demolish the building to make way for more room. Knowing the historical significance of the building, the Dunedin community (spearheaded by the newly formed Dunedin Historical Society) raised money to transport the chapel to a different location. In fact, the Dunedin Historical Society formed because of the need to save the chapel. 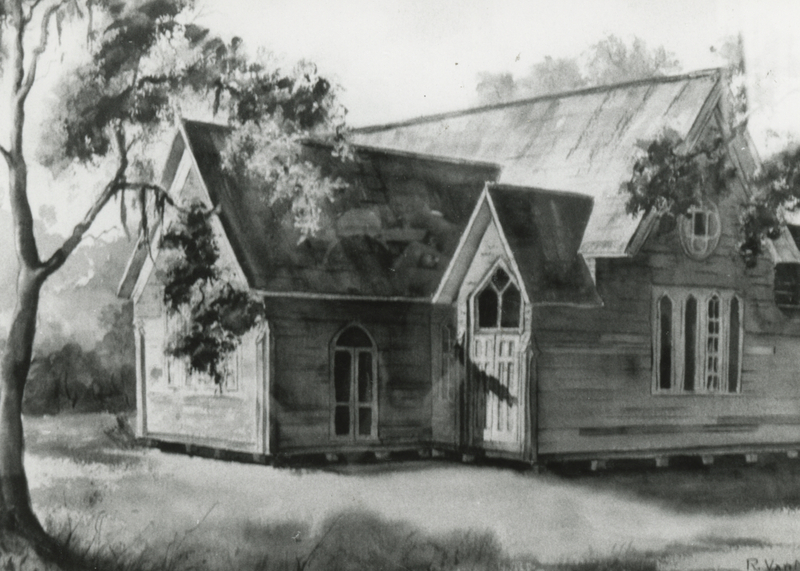 Through painstaking transportation (literally cutting the chapel in half), the Dunedin Historical Society relocated the chapel to Hammock Park, where they began reconstruction and renovation. Though the Andrews Memorial Chapel is a part of the National Register of Historic Places, the history behind it is not revolutionary or world-affecting. However, the importance of this site is its history within the community, showing both the importance and power communities can have. One quote that summarizes the importance of this historic site can be seen in an article from the Clearwater Sun’s July 27th, 1980 newspaper issue, the author talking about the renovations taking place on the chapel. “The Andrews Memorial Chapel will be a place rich in memories, built by the community, saved by the community, for the community” –Rebecca Thomas. 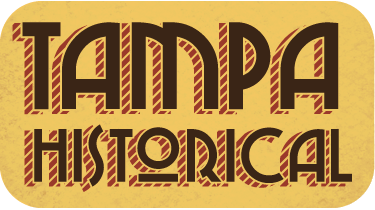 Curtis Croson, “Andrews Memorial Chapel,” Tampa Historical, accessed April 20, 2019, http://tampahistorical.org/items/show/30.